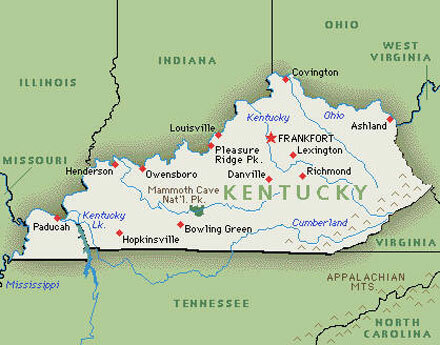 One could forgive the University of Kentucky baseball team if it had felt a little sorry for itself recently. It’s ace pitcher went from a sure-fire bet to sign a professional contract in June to a surprising senior returnee in August. 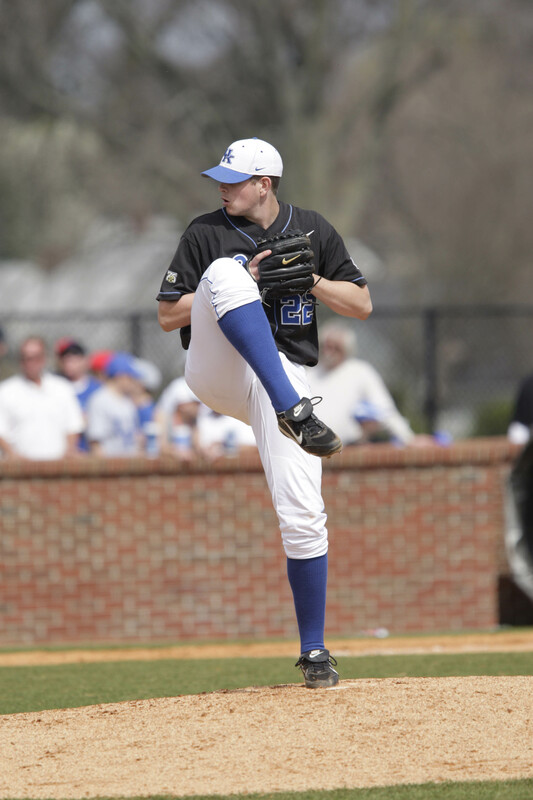 But that high didn’t last long as senior left-handed pitcher James Paxton decided to sue UK in an effort to avoid a meeting with NCAA investigators concerned with the role super agent Scott Boras played in his negotiations with the Toronto Blue Jays. As the season started the only thing anyone wanted to talk about regarding UK baseball was whether Paxton would be back this season. A 3-0 start to the year in South Carolina didn’t stop the talk. Despite the three impressive wins no national rankings followed. The standard justification was UK without Paxton wasn’t good enough for the honor. And play the Cats have. Even after learning this week Paxton would be leaving the team for good, the Cats swept preseason Mid-American Conference favorite Bowling Green State University. 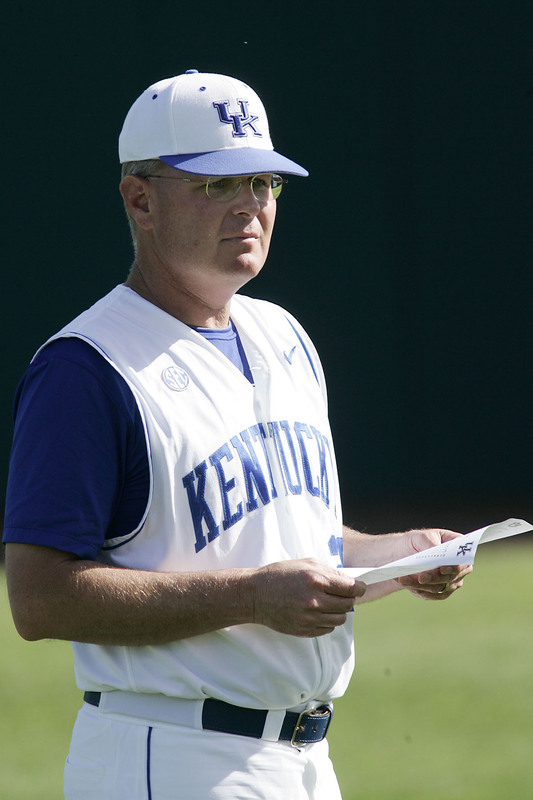 Two weeks into the 2010 season UK is 6-0 without Paxton. Three of the six wins have gone to starting pitchers who might not have been in the rotation if Paxton were eligible to play. Freshman left-handed pitcher Taylor Rogers has two wins, and junior right-handed pitcher Logan Darnell has one. Newly anointed ace sophomore right-handed pitcher Alex Meyer is 2-0 with 14 strikeouts in 10 and two-third innings. Meyer may be the new ace, but the weight Paxton’s would have carried will have to be spread among the three weekend starters according to UK head coach Gary Henderson. Two weeks into the season UK’s bullpen is still a work in progress, but the unit appears to be a significant upgrade from the 2009 version. The offense, led by Bisson, has been a strength in the early season with the Cats averaging over seven runs a game. In the weekend series against BGSU, UK came from behind in each game to win. The Cats could have let Paxton’s legal troubles distract them in preseason practice. They could have let the Kentucky Court of Appeals ruling against Paxton’s lawsuit distract them in South Carolina. They certainly could have let his announcement that he was leaving the team distract them during the home opener. The Cats haven’t let any distractions get to them thus far this season. All this team has done is win. 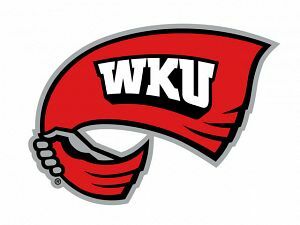 Western Kentucky University defeated host school Baylor University 6-2 to earn a sweep of its three games in the QTI Baylor Classic Sunday. The Hilltoppers were led by winning senior right-handed pitcher Shane Cameron, who held the Bears to two runs on five hits in six innings while striking out eight and walking two. Junior catcher Matt Rice was 2-4 with a home run and three RBI in the game. Sophomore center fielder Kes Carter was 3-4 with a home run, two runs scored and one RBI. BluGrass Baseball POG: Shane Cameron — WKU received strong offensive performances from Rice and Carter, but they only needed three runs in the game due to the strong pitching performance. Cameron surrendered two runs on five hits in six innings and struck out eight while walking just two. Eastern Kentucky University senior first baseman Anthony Ottrando launched a two-run home run to pull EKU withing one in the top of the ninth, but Western Carolina stopped the Colonels comeback one run short. EKU dropped the series finale 5-4 and fell to 1-2 on the season. Ottrando’s ninth-inning two-run blast was his fourth home run of the series. BluGrass Baseball POG: The running for player of the week might officially be over after EKU first baseman Anthony Ottrando launched his fourth home run of the weekend. On the young three-game season, Ottrando is batting .500 with four home runs, nine RBI, four runs scored and two walks. 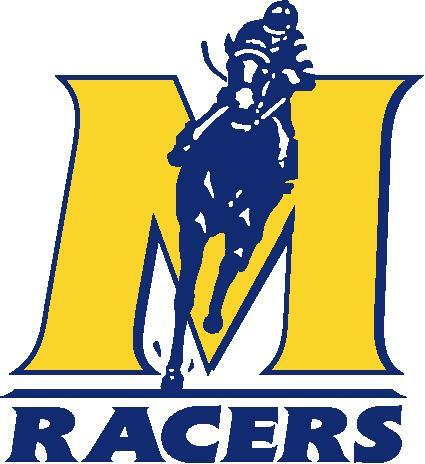 The Murray State Racers dropped their first series of the season with a 9-4 loss to South Dakota State University Sunday. SDSU jumped out to a 3-0 lead in the second and never looked back. Senior catcher Jason Laws led the Racers with a 3-5 performance with one run scored and one RBI. Senior right-handed pitcher Marc Harmon took the loss after allowing six runs in four innings. BluGrass Baseball POG: Jason Laws — Laws was one of the few offensive bright spots for Murray State as its biggest stars struggled to reach base in the series finale. Laws finished the afternoon 3-5 with one RBI and one run scored. Bowling Green State jumped out to an early 4-0 lead, but the University of Kentucky scored three in the second and took the lead on a three-run Chris Bisson home run in the sixth. UK also got a 3-3, one home run, three run and two RBI performance from the eight spot in the lineup. Sophomore catcher Michael Williams started the game in the eight spot with a 2-2 performance but left the game after being hit in the head by a pitch in the sixth. Freshman catcher Luke Maile homered in his first career at-bat in the eighth. BluGrass Baseball POG: Chris Bisson — Bisson was 2-5 with two runs scored and four RBI in the game. 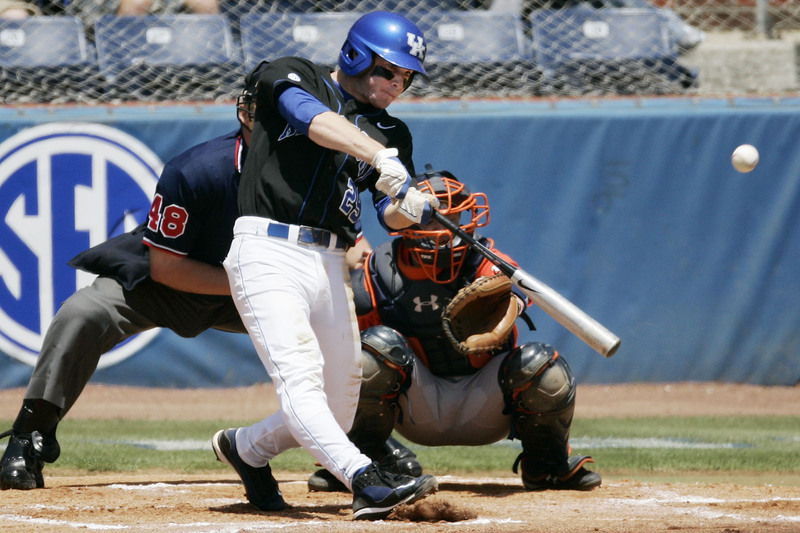 The All-American second baseman put the Cats ahead for good with his sixth-inning three-run home run and added an RBI triple in the eighth. Bisson, a Canadian, was also quite happy after the game when I told him Canada was up 1-0 in the gold medal hockey game. 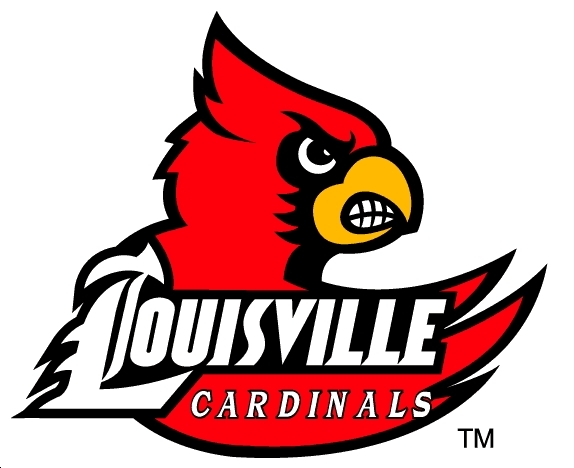 BluGrass Baseball All-State designated hitter Phil Wunderlich launched a walk-off home run on the first pitch he saw to leadoff the ninth inning and send the University of Louisville to a 7-0 start. Senior third baseman Wunderlich drove in one earlier in the game, and junior right-fielder Josh Richmond, senior second baseman Adam Duvall and sophomore shortstop Ryan Wright each had two hits in the game. BluGrass Baseball POG: Phil Wunderlich — The senior third baseman had only one hit in the game, but it was the most important one with a walkoff homer. Wunderlich drove in two in the game and now has two home runs on the season. A six-run ninth inning from Lehigh University wasn’t enough to complete the comeback, as Morehead State University prevailed 12-9 to finish 2-2 in the UNC-Wilmington Hughes Bros. Baseball Classic. Senior center fielder J. D. Ashbrook, senior shortstop Drew Lee and sophomore third baseman Andrew Deeds each homered in the game for Morehead with Lee launching two long balls. Sophomore left-handed reliever Tyler Hieneman earned the victory with two and one-third scoreless innings of relief. BluGrass Baseball POG: Drew Lee — Lee led all Morehead batters with two home runs and five RBI in a 2-5 performance. The preseason All-American has four home runs on the young season. 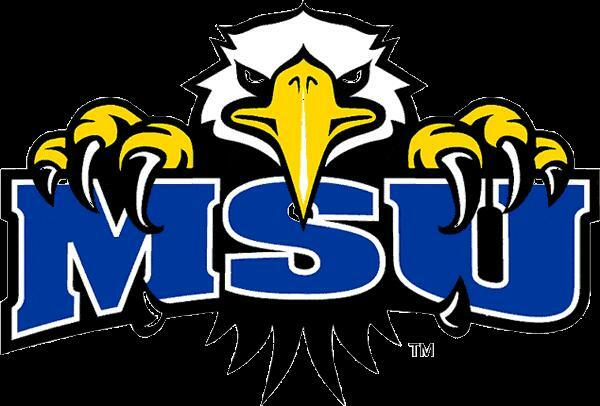 Morehead State University ended a five-game losing streak with an 8-4 victory against Lehigh in game two of a Saturday double header. Designated hitter Taylor Davis led the Eagels witha 3-4, three RBI performance. Senior shortstop Drew Lee was 2-4 with two runs scored, and senior right handed pitcher Jeff Arnold earned his first victory of the season after allowing four runs in six innings. In game one Morehead lost its second game of the UNC-Wilmington Hughes Bros. Classic in blowout fashion to the host school. UNC Wilmington scored five runs in the first inning en route to a 12-2 drubbing of the Eagles. BluGrass Baseball POG: Michael Fear — Junior third baseman Michael Fear was just about the only semi-bright spot for Morehead in game one and posted a respectable performance in game two. Fear was 3-7 with three runs scored on the day. Fear was the only Morehead player with multiple hits in game one. 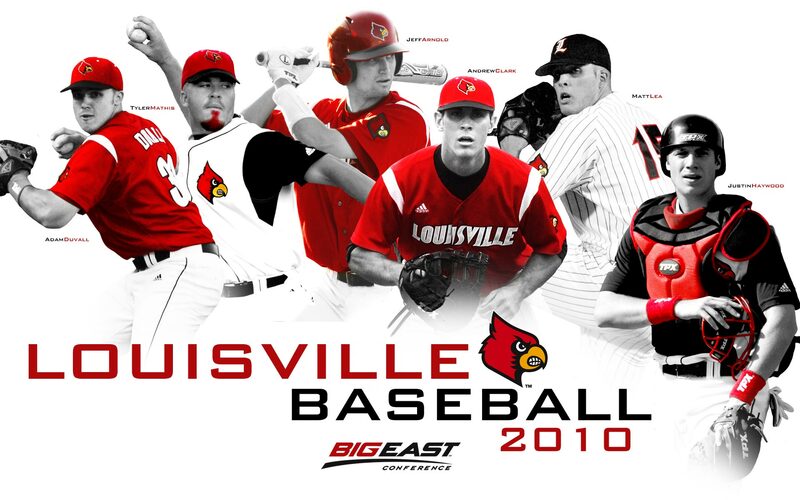 One day after winning a 2-0 pitcher’s duel, the University of Louisville brought its bats to play in a 17-6 blowout of Michigan State. The Cards were led by senior first baseman Andrew Clark who had a home run and five RBI. UofL had both a six-run and nine-run inning in the game. Redshirt sophomore left fielder Stewart Ijames was 4-4 with a home run and three RBI. BluGrass Baseball POG: Stewart Ijames — There were plenty of candidates for the player of the game from the UofL offense, but Ijames stands out for his perfect day at the plate. The redshirt sophomore left fielder was 4-4 with two runs scored, three RBI and a home run.